This is Dover's reprint of the original 1969 edition. Great historical research! 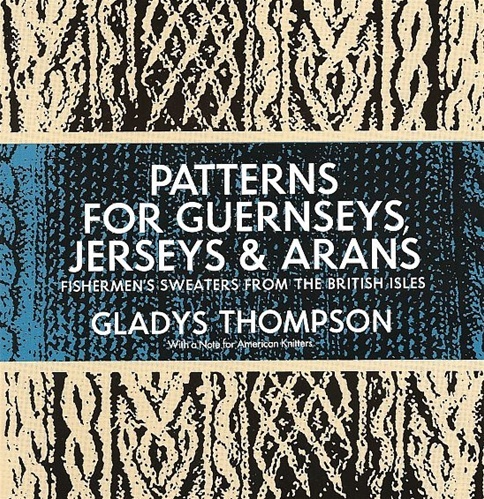 If you enjoy seeing where our knitting traditions came from, you will love this book. 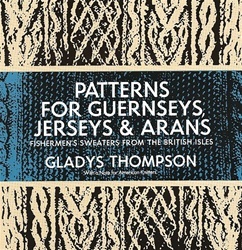 This book presents 82 different genuine folk stitch patterns for both the lighter weight Jerseys and heavier Guernseys. 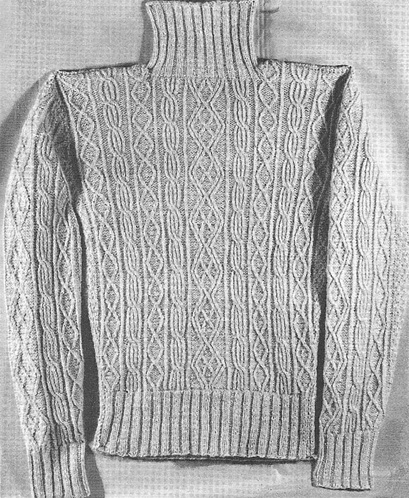 What will fascinate you are the many authentic stitch patterns so carefully documented with all their variations. There are patterns found in Yorkshire, Norfolk, Ireland, the Scottish Hebrides, and the Aran Islands. Includes some wonderful stories of the author's adventures while gathering the patterns, too. Includes regular comments on history and tradition. The many stitch patterns can be easily combined to make one of a kind scarves and vests too. 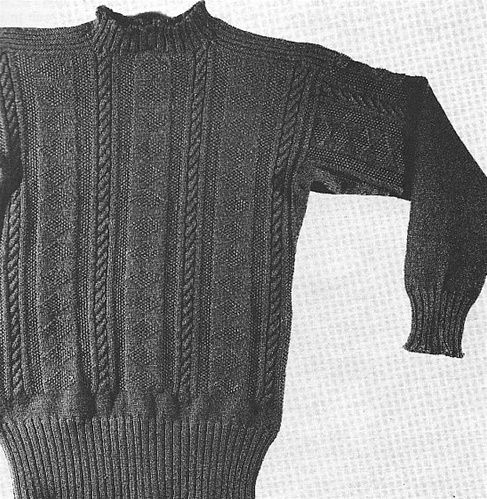 Many beautiful sweaters are pictured, but this book is not for beginners. You should have enough experience with garments to understand how pieces fit together. You must be willing to swatch to gauge in modern yarns, and do some serious math for sizing and charting too. There are abbreviations that are no longer common, although once you translate them you won't have any difficulty at all. Line-by-line instructions for the stitch patterns, plus charts.